Raphael Samuel was born in London, to a Jewish Communist family, and died of cancer in the city of his birth, on 9 December 1996. Education at the progressive King Alfredʼs School (Hampstead Garden Suburb) and at Balliol College, Oxford, where he was taught by Christopher Hill, contributed to his intellectual formation, but the insistent and febrile energy that he brought to the practice and teaching of history – indeed, to its very reshaping in the postwar years – was forged in a Communist childhood and teenage membership of the Communist Party Historiansʼ Group. The domestic asceticism of this upbringing, combined with the narrative richness of the Marxist historiography he learned from the Party he left in 1956, was notably described in a series of pieces on ʻThe Lost World of British Communismʼ, published in New Left Review in the mid-1980s – the ﬁrst English contribution to the now vastly overcrowded terrain of autobiographical criticism to be written by a man (NLR 154, 156, 165). 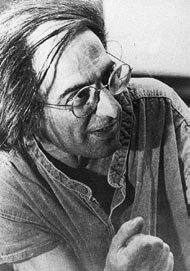 Raphael Samuelʼs lasting memorials will be the work he inspired in the generations of students he taught at Ruskin College, Oxford, from 1962 to 1996, and History Workshop, in its protean forms of annual conferences, local networks and federations – which spread across Europe and Scandinavia – and its eponymous journal. ʻA loose coalition of workerhistorians and full-time socialist researchersʼ was what he called it. ʻIt started in 1967, at Ruskin College … as an attack on the examination system and the humiliations which it imposed on adult studentsʼ (HWJ 9). History Workshop was a practice of progressive education as much as it was of history. Raphael Samuel retained a lifelong admiration for child(or learner-) centred education, and for the Communist teachers he met in his youth. He was perfectly willing to listen to elaborate arguments about progressive education as the ﬁnal – and conservative – resting place of post-Wordsworthian English romanticism, but he believed not a word of them. His conviction sent mature students who had left school at ﬁfteen – unable to write an essay, as John Prescott recalled of his pre-Ruskin self – straight into the archives, to learn from the fragmented records of the unconsidered of the earth what a democratic and socialist practice of history might be. Like Raymond Williams and Edward Thompson, he produced his historical work in interaction with working-class adult returners to education – a peculiarity of English educational history and English historiography that awaits its historian. The standard charge against the history Samuel inspired was of a fanatical empiricism and a romantic merging of historians and their subjects in crowded narratives, in which each hard-won detail of working lives, wrenched from the cold indifference of posterity, is piled upon another, in a relentless rescue of the past. When he was himself subject to these charges, it was presumably his ﬁne – and immensely detailed – accounts of the labour process that critics had in mind. But it was meaning rather than minutiae that he cared about. If, as Gareth Stedman-Jones suggested in his Independent obituary, Raphael Samuel charted better than anyone else the desperate increase of hard labour in every branch of industry and manufacture brought about by Victorian industrial capitalism (on the land as much as in the factory), then it was because the details inscribed the meaning of that toil, those lives, to those who lived them.Histories of feminism in Britain conventionally cite History Workshop as one of the origins of an indigenous womenʼs movement. A notorious argument at the 1968 Workshop, about the failure of the male Left to take the personal and the domestic seriously – as objects of historical inquiry, or as anything at all – is frequently evoked. Did History Workshop give birth to womenʼs history, in its modern mode? Samuel thought it did; it certainly obeyed its injunctions of historical practice, pursuing women as workers into the realms of reproduction, with the result that we now know more about what working-class women actually did during the Long Revolution, on a day-to-day basis, than we know about working-class menʼs activities. We have extraordinarily detailed accounts of women and various processes of labour (women and bobbins, shuttles, top bars, needles, loops, hooks; women throwsters, women winders…). And for the late nineteenth century, we possess equally ﬁnely drawn portraits of women reproducing everyday life: grates, frying pans, black-lead, banana-crate cradles, yard-brooms; childbirth, labour, love. Samuel understood this form of womenʼs history as a politics, arising from ʻa radical discontent with historical explanations which remained wholly external to the object they purported to account forʼ. It was part of a wider desire of the 1970s, to show ʻclass consciousness … mediated and formed in the crucible of the workplace and the homeʼ. History Workshop Journalʼs itemized accounts of the twenty-year battle between empiricism and theory were mostly made at Samuelʼs instigation. He was always much more interested in ideas than in the detail. But who noticed in 1980, when he made the revolutionary suggestion that one way out of the epistemological wasteland in which socialist historians found themselves, in the death throes of the Marxist historical epic, was that historical explanation could remove itself from the hypnotic ﬁx of linear time, could stop dealing with surface concordances – indeed, that we could rethink the notion of cause itself, which might also be ʻmore convincingly elaborated if it were removed from a temporal sequenceʼ? He lived – another sixteen years – to see this happen; but not perhaps to know how important a role he played in bringing a new history into being, in which time has been turned into something like the spaces and places of Gaston Bachelardʼs poetics.Theatres of Memory (1994) is certainly the book that everyone has said it is: it shows us what the heritage industry reveals about ʻthe culture of the peopleʼ, about new makings of the past in the common imagination. But its intense observation of the things that make up this new past – the distressed bricks and Edwardian-lady tea-towels that rivetted Samuelʼs gaze – are the historianʼs acknowledgement that in late-twentieth-century historical practice time has been slowed down, compressed into the interior spaces of remembered things. That is why he urged a ʻmolecularʼ vision on us all, and a practice of ʻmicro-historyʼ. And only if you believe that everything connects, that each entity and event contains the stuff that might illuminate another one, does time become solidiﬁed in this way. Nothing goes away. year or so ago, the University of Warwick made me a professor, and the inaugural lecture was set for May 1996. The audience for it I wanted, that I most frantically had to have, was Raphael. But he could not come: what turned out to be a last holiday with his beloved friend and wife Alison had already been booked. He would have taken the train from Euston to Coventry, had he been around, but he would not have seen the point. In the Guardian obituary, Bill Schwarz wrote about Raphaelʼs indifference to all norms of academic achievement; he would have seen in the event not my performance of the knowledge that ﬁnally, absolutely, no way now, could they send me back, but rather, empty, preposterous pomp. He never wanted me to get my PhD: I could stand as an inspiring example of what could be done without one. And anyway, the event was to be held in a Midlands county. It was not so much that Raphael disapproved of my living in the provinces – though he sometimes introduced me as a woman who had deserted and betrayed the city of her birth: he was the truest Metropolitan, Fitzrovian indeed. London for him was the light of the world; he just never quite believed that I lived – that I could live – in Middlemarch. I wanted him there, in acknowledgement of my intellectual and historical debt to him, certainly; but really, because I wanted to tell him something. Raphael had always seen adjustments in Marxist historiography taking place from the mid-1950s onwards. By the early 1980s in his account, the old epics, of ʻclasses fulﬁlling (or failing to fulﬁl) their appointed historical missionʼ had become the mere echo of a story half-understood. He always knew that the context to this momentous abandonment was the changing cultural meaning of the past in postwar Britain, and changes in the means for visualizing and imagining the stuff of the past that had been made available to populations in the postwar period. The context to his accounts in ʻThe Methods of History Workshopʼ and ʻReading the Signsʼ (HWJ 32) was history become a well-spring of the modern self: history become pleasure. something glimpsed through a momentarily illuminated Spitalﬁelds door, the texture of a brick, a devastating analysis of the absurdity of historical reconstruction in Christine Edzardʼs ﬁlm Little Dorrit. He charted the change by reading Dickens himself, and seeing that the heaped curiosities of his interiors, the great city of the world made magical by the act of walking it and scanning the ghostly faces encountered there, was the novelistʼs own reading of the signs: was the sign itself that the novelist had understood something about the meaning of the past and all the triﬂes it strewed in its wake for the myriads of menu peuple of the nineteenth century. The things in Dickensʼs writing inscribed their understanding of the industrial capitalism that had brought them into being and the simultaneous means it had given them for knowing – through those heaped fragments of the past – what it was they were. Thatʼs what I wanted to tell him about, in my lecture. I wanted to tell him about Jules Micheletʼs very ﬁrst days in the archive in the late 1820s when he ʻﬁrst entered these catacombs of manuscriptsʼ and ʻwas not slow to discern in the midst of the apparent silence of the galleries, a movement and murmur which were not those of death…ʼ. I wanted to use this symbolic birth of social history and tell him about Micheletʼs communion with the dead, who through those ʻpapers and parchments, so long deserted, desired no better than to be restored to the light of day…ʼ and whom he then addressed in the respectful and practical tones of social historians everywhere – ʻSoftly my dear friends, let us proceed in order if you pleaseʼ – and how as he breathed their dust, he saw them rise up. I wanted to say: this is what we do, or what we believe we do; we make the dead speak, we rescue the myriads of the unconsidered from the enormous indifference of the present. For the last 150 years social historians have always written in the mode of magical realism. In strictly formal and stylistic terms, a text of social history is very closely connected to those novels in which a girl ﬂies, a mountain moves, the clocks run backwards, and where (this is our particular contribution) the dead walk among the living. So he has to walk, through his beloved city: the ghost who tells us what history has become; how nothing goes away.